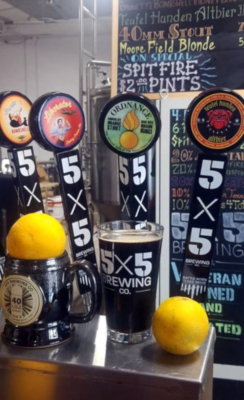 The “Battle Born, Texas Made” beers of the 5X5 Brewery Co. of Mission are now across South Texas with a variety of tastes from the Irish red to honey brown ale. In less than a year of operation, 5X5 has moved quickly in reaching 85 South Texas restaurants and bars. Their reach stretches from Rio Grande City to South Padre Island and north to Kingsville. The key, said Sean Downey, one of 5X5 owners, is being able to resupply retail customers quickly and efficiently. Producing the product locally while being focused on distribution has earned 5X5 growth in the market. Bars and restaurants enjoy have locally crafted beers on tap, a request Downey said they often hear from customers. With 5X5’s growing varieties of beer, there’s a flavor to meet the wishes of different taste buds. 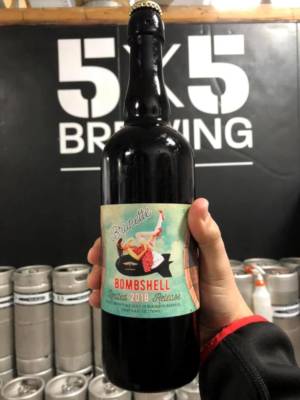 The favorites thus far have been the Brunette Bombshell, a honey brown ale, with the new varieties of the Irish Red, and the 40mm Stout, a chocolate coffee style beer. There’s also a beer named after the old Moore Field air base near Mission, which Downey described as being a light ale. 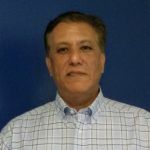 “We’ve had a really great reception from customers and our retailers,” said Downey, who, like four of the company’s owners, served in the military. The brewery operates out of the Mission Economic Development Corp. building and has a strong connection to the community. Downey grew up in Mission with two of 5X5’s other owners, George Rice and Matt Mazur. Furthermore, the brewery has been active in helping local charities and non-profit organizations. For more on 5X5 Brewey Co., revisit Ricardo Cavazos’s Sept. 2018 feature Valley Roots Bind Brewers.